Warts are those ugly, raised bumps that sometimes appear on your body. They are not life-threatening or dangerous, but they are often a source of embarrassment. And they are more common that you might think. But what can you do if you suddenly discover such a bump? Well, most warts don’t require any treatment, and they go away on their own after a couple of months. But it’s understandable if you don’t want them around for so long. No one wants to be compared to the old hags from the fairy tales, after all. There are some home remedies for warts that you can try to speed the process. However, consult with your doctor first to be on the safe side. Let’s see first answer some important question like why and how you get a wart. The guilty party responsible for the appearance of warts is a virus. It’s called human papillomavirus. I’m sure that you’ve heard about it on the TV or read about in online. But you’ve probably never given it much thought. There are more than one hundred unique types of human papillomaviruses. Some of them are the reason behind warts on the hands, other cause warts on the feet or around the genital area. However, some are the culprit behind more serious diseases like cervix cancer and oral cancer. But what happens after you get in contact with the virus? The HPV enters your skin through a scratch or a break in the skin barrier. 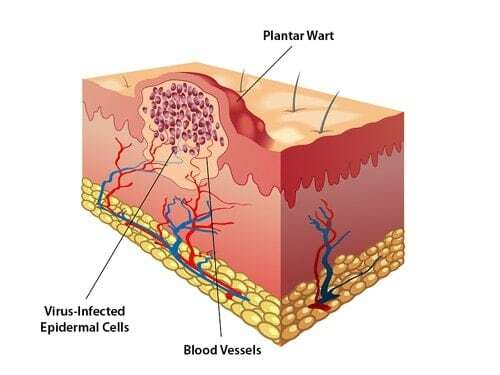 Then it causes rapid growth of the cells – warts, in other words. A wart, however, doesn’t appear overnight. Months can pass before the ugly bump rears its ugly head. It’s only natural that we wouldn’t want ever to get infected with this virus. Unfortunately, this is likely unlikely. HPV is highly contagious. Most people get exposed to it during their lives through skin-to-skin contact. You can get it if you shake hands with a person who has a wart on his hand, or if you’re sharing personal items like towels and razors. More importantly, HPV is a sexually transmitted infection (STI) which causes genital warts. And it’s amongst the most common STIs. The reason is simple – you might be infected without knowing, and it can take months for the symptoms or warts to appear. Meanwhile, you may pass the virus to your partner. It’s even possible to have more than one strain of HPV. A variety of screening options for STDs exist, and testing no longer has to be done in your doctor's office. At home std test panels are affordable and reliable as well as easy to use. In most cases, the HPV goes away without causing any health issues. On rare occasions, the body doesn’t fight it off, and it leads to further problems such as cancer. They are pink, white, tan or flesh-colored. Either rough or flat and smooth. They may have black dots at the center.These spots are actually blood vessels that supply the wart with blood. 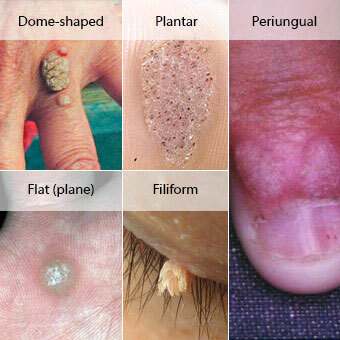 There are several types of warts. Let’s see the difference between them. Common warts. They are firm with a rough, raised surface and tiny dark spots (capillaries). Common warts look like cauliflower, and they usually appear on the hand, knuckle, fingers, elbows, knees. But you might find them on other parts of your body, too. Plantar warts. They have a black dot in the center, and they are surrounded by a white, hard surface. What’s unusual about plantar warts is that they appear on the soles of the feet. When you walk, they get pushed beneath the skin. That’s why they might be painful. Plane warts. They are small, flat, smooth, round and yellowish, brownish or pink in color. These warts are more common in children than in adults, and they usually appear on the face, legs, and hands. Filiform warts. They have a flat surface, and they grow around the nose, mouth, beard, armpits. Periungual warts. This type of warts appears under the fingernails and toenails. They look like rough, irregular bumps. In most cases, warts don’t need any treatment. Your immune system takes care of them in time. Doctors usually recommend remedies such as Dr. Scholl's DuoFilm Liquid to speed the process. But there are several simple home remedies for warts that you can use. Yes, that’s right – everything you need to get rid of the bothersome common wart is a piece of duct tape. And professionals agree that this is an effective, safe method for home treatment. A study compared the duct tape method and cryotherapy (freezing the wart). It concluded that the duct method is more efficient than cryotherapy. After applying tape, warts disappeared within 28 days, while the cryotherapy method required several treatments. 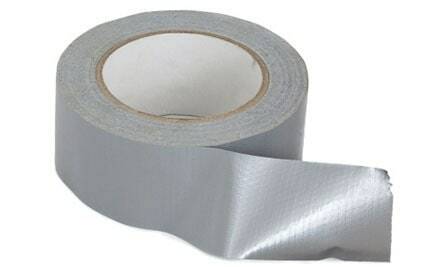 Specialists suppose that the duct tape irritates that skin and prompts the immune system to do its job. Cut a piece of the duct tape, roughly the same size as the wart. Put the piece of tape over the wart. Leave it for six days. If the tape falls, replace it with a new piece. Remove the tape after the sixth day. Soak the affected area in water. Repeat until the wart goes away. But no more than two months. Notes: Use regular gray tape. There are no dangers in using this method to get rid of warts, but be careful if you have thin and fragile skin. Also, if you notice any signs that your wart is worse than before, stop the treatment. Make an appointment with a dermatologist. Baking soda has anti-inflammatory properties that help your body to fight the virus. It has an antiseptic effect. Baking soda has an astringent effect. It dries warts from the inside. There are many ways to use baking soda as a home remedy for warts. Let’s take a look at the most popular ones. Measure ½ cup of baking soda. Add it to the bath. Wait for the baking soda to dissolve completely. Alternatively, you can make a baking soda paste combined with castor oil for better results. 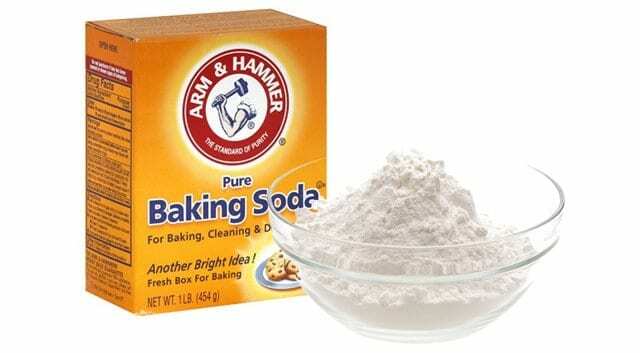 Mix one tablespoon of baking soda with water. Add a teaspoon of caster oil. Apply the cotton ball on the wart. Baking soda may dry your skin, so use moisturizers. Also, do a patch test before using the baking soda to make sure that it won’t cause further irritation. If you notice anything unusual, immediately rinse off with cold water. Here’s a video for you to watch how to use baking soda as a home remedy for warts. If you’re wondering how to get rid of plantar warts, you don’t need to look any further than your kitchen cabinet. 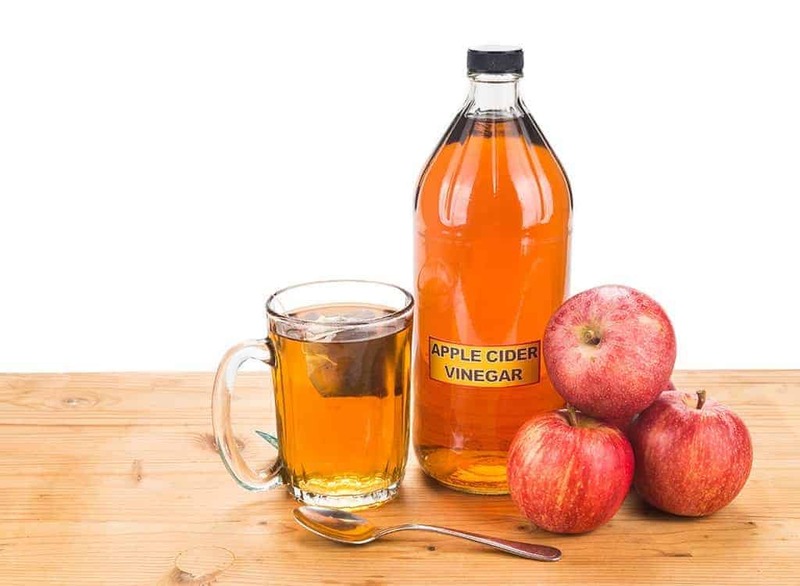 Apple cider vinegar is an excellent home remedy for these uncomfortable warts because it has antivirus and antibacterial properties. The acidity of the vinegar causes the wart to soften and peel naturally. Moreover, there are no chemicals or toxic compounds in the vinegar, and you won’t get an ugly scar. First, clean the affected place with water. Apply petroleum jelly to the healthy skin around the wart to avoid irritation. Soak a cotton ball in a bowl of pure apple cider vinegar. Put it on the wart. In time, the wart will turn black and then it will fall on its own. Apple cider vinegar doesn’t have side effects in most cases. But there might be swelling and throbbing in the wart. Also, don’t be tempted to peel or pick the wart once it turns black. You know that vitamin C boosts the immune system and keep various illnesses away. But it can also help you when it comes to warts. Just like apple cider vinegar, the acid in the vitamin naturally destroys warts. Moreover, vitamin C has antivirus and antioxidant effects that will help you deal faster with the virus. Use the mortar and the pestle to crush two or three vitamin C tablets. Put the crushed vitamin C into the bowl. Apply the paste to the wart. There might be burning sensation when you apply the paste. 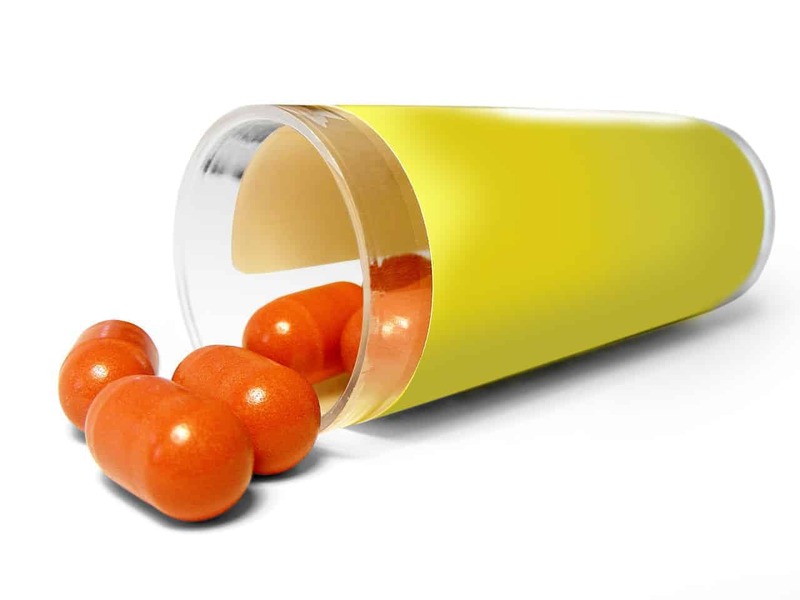 Other vitamins such as vitamin A, B, E can also be helpful for dealing with warts. But consult with your doctor if you have diabetes or poor circulation before using vitamins to get rid of plantar warts. “You got be kidding me! That’s not possible, right?” Yes, it is. 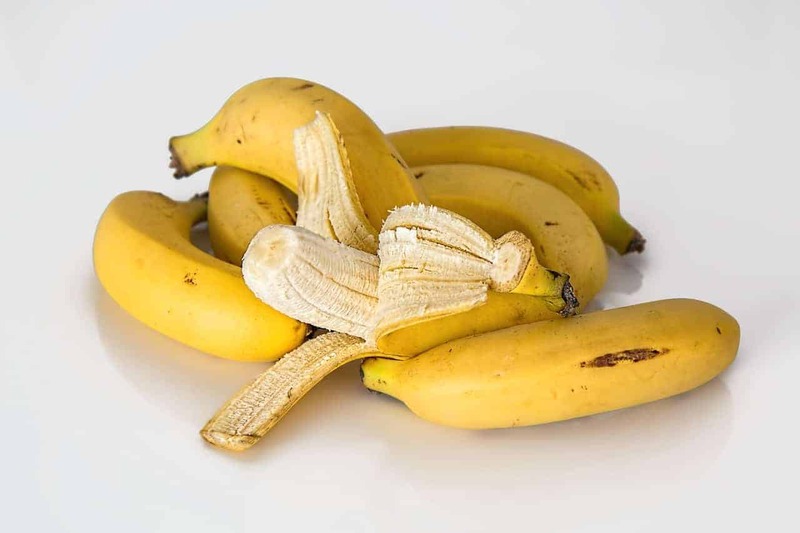 It turns out that the banana peel contains compounds and chemical that will dissolve the wart naturally. It also has antioxidant properties, and it will help your body fight the virus. Cut a piece, roughly the size of the wart. Place a few drops of diluted tea tree oil on the affected area. Put the inner surface of the banana peel on the wart. Use medical tape to secure the peel. Repeat every day until the wart disappears. Alternatively, you can use banana mush. Scrape the white mush out of the peel. Apply the mush on the wart. When the wart turns black, don’t peel or pick it. Here’s a video you can watch for more information. Don’t ever touch a wart. Don’t share personal belonging like razors or towels with other people. Don’t walk barefoot when you use pools or public showers. Take care of your feet – keep them dry and avoid irritating the soles. What’s your opinion of these home remedies for warts? Have you ever used one of them? Don’t hesitate to leave your story in the comments. And share the article with your friends and family. But remember – don’t use these home remedies if you’re not sure that the skin growth is a wart.